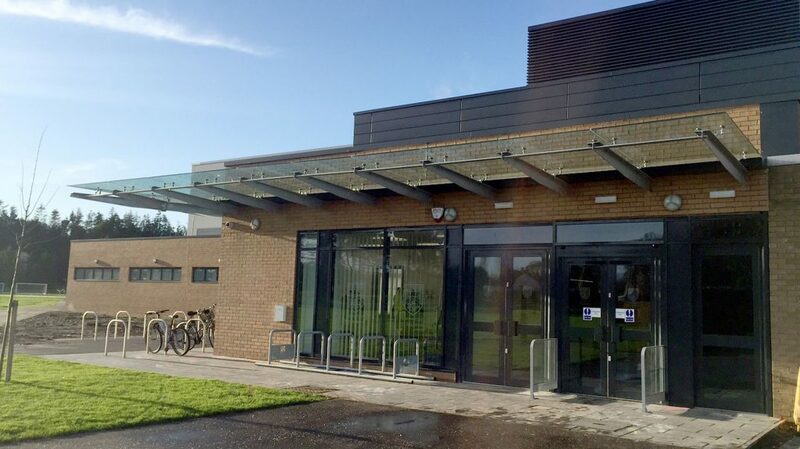 This renovation and extension of the existing University of St Andrews Sports facility, comprises of a new 8 court badminton hall, 4 court tennis hall, fully refurbished gym, climbing wall, reception café space and associated changing facilities. The new development provides modern state of the art facilities for students at the University, various clubs, organisations and other local users in the community. The design proposals involved the construction of 2 large single span steel portal frame structures built either side of the existing University sports building to create the clear open spaces to suit the multi-use sports hall requirements. Careful coordination was required to allow the construction and integration of the new steel framed structures at the interfaces of the existing 1960’s built facility. A cantilevered steel frame was adopted providing a soft joint between the old and new structures and to allow new foundations to be constructed without impact on the existing substructure. The project required careful planning and coordination to allow the new development works to be completed whilst minimising disruption to the users of the existing facility. The project was split into three phases allowing the existing facility to remain operational throughout the duration of the works.